Wesleyan University Press, 9780819577658, 128pp. Sarah Blake follows up her previous book of poetry, Mr. West, with a stunning second collection about anxieties and injury. Blake uses self-consciousness as a tool for transformation, looking so closely at herself that she moves right through the looking glass and into the larger world. Fear becomes palpable through the classification of monsters and through violences made real. When the poems find themselves in the domestic realm, something is always under threat. The body is never safe, nor are the ghosts of the dead. But these poems are not about cowering. By detailing the dangers we face as humans, as Americans, and especially as women, these poems suggest we might find a way through them. The final section of the book is a feminist, science fiction epic poem, "The Starship," which explores the interplay of perception and experience as it follows the story of a woman who must constantly ask herself what she wants as her world shifts around her. 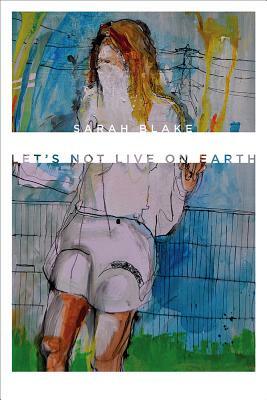 SARAH BLAKE is the author of the poetry collection Mr. West, founder of the online writing tool Submittrs, and a recipient of an NEA Literature Fellowship. Her poetry has appeared in Kenyon Review, American Poetry Review, and The Rumpus. She lives outside Philadelphia, Pennsylvania.